Are you making a metallic sequin cake? Look no further as these all white edible sequins are perfect to allow you to create sequin texture effects to your cakes and colour as you wish. Size approx. 1/8" wide. 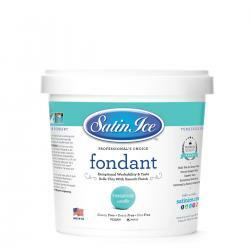 Ingredients: Sugar, Rice Flour, Partially Hydrogenated Vegetable Oil (soybean and/or cottonseed), Confectioners Glaze, Gum Arabic, Cellulose Gum, Titanium Dioxide, Carrageenan, Soy Lecithin, Carnauba Wax, Artificial Flavor. Note: these are repackaged in a facility that handles nuts, wheat, dairy & eggs.